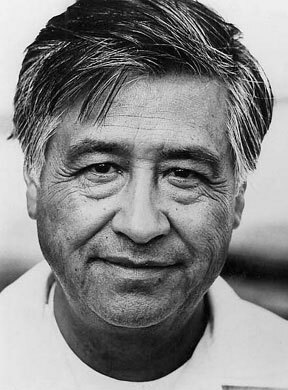 In l976 Dederich formed an alliance with another leader of a revolutionary community, a man who envied the loyalty and trappings Dederich had accomplished—Cesar Chavez. The Chavez Family had moved to San Jose in late 30’s during the days of The Grapes of Wrath. Cesar became a leader in the Hispanic Community Service Organization and in l962, when field hands were treated like the dirt they worked in, he formed the United Farm Workers union with Rev. Jim Drake and Gilbert Padillla. Chavez led the UFW on a strike in September of 1965 that lasted 54 months, the opening battle of a 22-year war. Like Synanon the UFW called its fight “the holy war.” Chavez would order strikes at the moment a crop was ready to be harvested, demanding more money, and for members treatment as something other than farm tools. In 1968 as Chavez ended a Gandhi-like l25-day fast for nonviolence he was visited by Robert Kennedy sporting a UFW button on his label. Chavez responded with a UFW border registration drive that brought 200,000 people to the polls for Kennedy. Chavez invented the “secondary boycott” going beyond the growers to markets that sell the grapes, setting up picket lines outside the stores and recruiting idealistic college kids to join the marches. Chavez’s views were similar to Dederich’s: “Either yu fight to the bitter end or you don’t get in to it at all,” Politics was a street fight: “If you get hit, hit back.” Chavez was victorious, the growers surrendering and signing a collective bargaining agreement in July of 1970 and its union membership jumping from a few thousand to more than 80,000. In 1971 Chavez moved the UFW headquarters from Delano to La Paz, a collection of old buildings scattered near the railroad tracks in Keene, a one-gas station town in the Tehachapi Mountains, 30 miles east of Bakersfield. Like isolated areas selected by Dederich, it was blue-sky land where hawks flew. Those who followed, including the legal staff, donated their lives to the union for $10 a week. But in l973 the growers struck back by signing new agreements with the more cooperative Teamsters Union, a powerful entity to join forces against the UFW. As several UFW members were killed Chavez went to Europe to argue his case, even getting an audience with the Pope. Like Synanon, the UFW became family run, Chavez’s brother and sons all having high positions. Everyone checked with Cesar before making a decision. Some referred to him as the God of the Movement who must control every aspect. Chavez, like Dederich, believed in importance of community– he was partial to the idea of a kibbutz–and also liked to experiment with different lifestyles. It was only natural that he would develop a close association which Charles Dederich. In l976 Chavez barely lost on a bid to pass into law a proposition he favored. He became paranoid, blaming his own for not doing their jobs. Purges of selected scapegoats followed. Chavez believed Synanon had the answer to creating the community and commitment he dreamed of and no one in his union could tell him he was wrong. That year he visited Dederich at the Home Place in Badger. Chavez was an awe. He saw an organization bringing in millions of dollars a year. He saw Dederich as a famous man who pioneered self-help methods and he envied the efficiency of Synanon jitneys, autos and motorcycles transporting smiling faces endlessly to their chores. He was most impressed with the fact that no one criticized the thoughts of the leader. The Old Man, Chavez decided, knew how to create a community. In turn Dederich was flattered by the adulation from one who had obtained popularity representing the underdog and who in Dederich could see some of himself. He wooed Chavez by giving him buses, cars and food and advised him if he really wanted to turn La Paz into a Synanon-like community Chavez should import the Synanon game. Dederich taught Chavez how use the game to solve problems and to create a community that followed one voice and one policy. Many at La Paz argued against its implementation but Chavez ordered them to play. It became a means for Chavez to look for spies within the organization and to control his followers. Those not committed or in total agreement could be identified. The game was used to attack those perceived as potential enemies. La Paz developed its own version of containment and people often were required to get permission to go off the property. 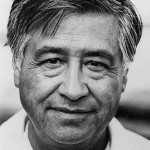 Following Dederich’s arrest for conspiring to murder me, Chavez appeared at a Los Angeles Synanon press conference to publicly give Dederich his vote of confidence. By l981/l982 an exodus of key staffers at the UFW had begun, some saying Chavez’s effort to form a spiritual community modeled after Synanon had turned La Paz into a prison. The experience had been so painful that many UFW staffers were reluctant publicly to talk about it. After many years of use, Chavez publicly admitted the game—invented by his good friend who was now a convicted felon—had not worked. By then it was too late. Another Shangri-la had bitten the dust.